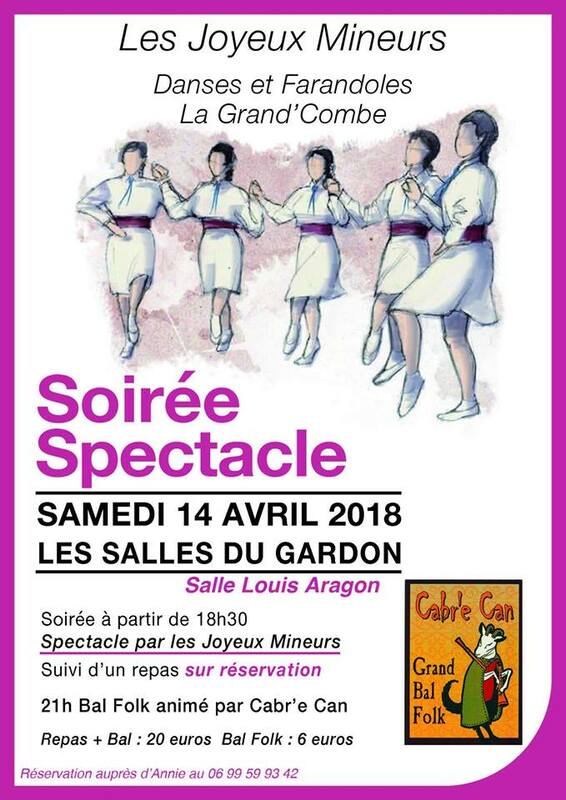 Soirée Annuelle Des Joyeux Mineurs au Salles du Gardon à la salle Louis Aragon avec en deuxième partie un Bal Folk animé par Cabr’e Can . 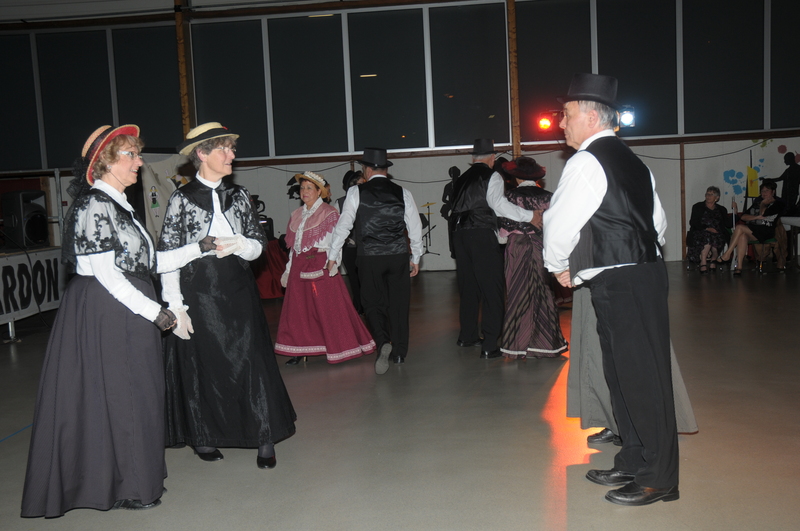 2018 annual party coming soon !! 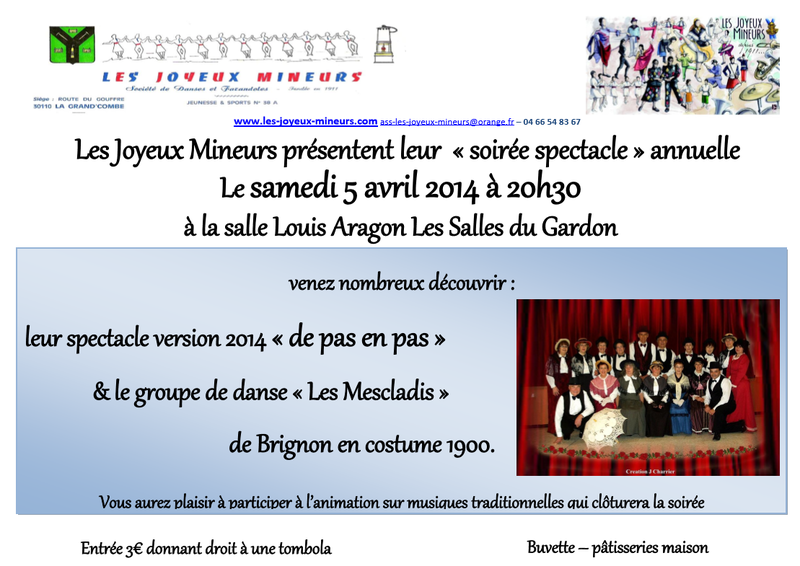 Soirée Annuelle Des Joyeux Mineurs au Salles du Gardon à la salle Louis Aragon. 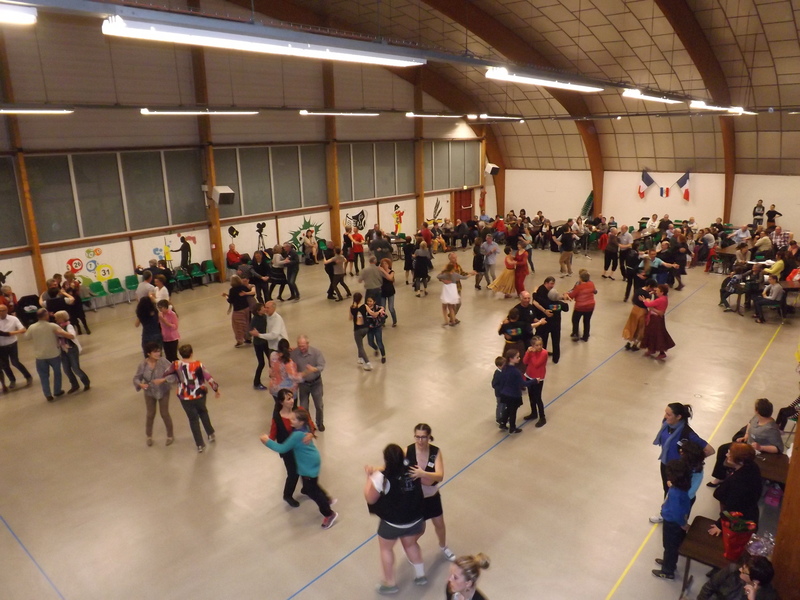 2017 annual party coming soon !! 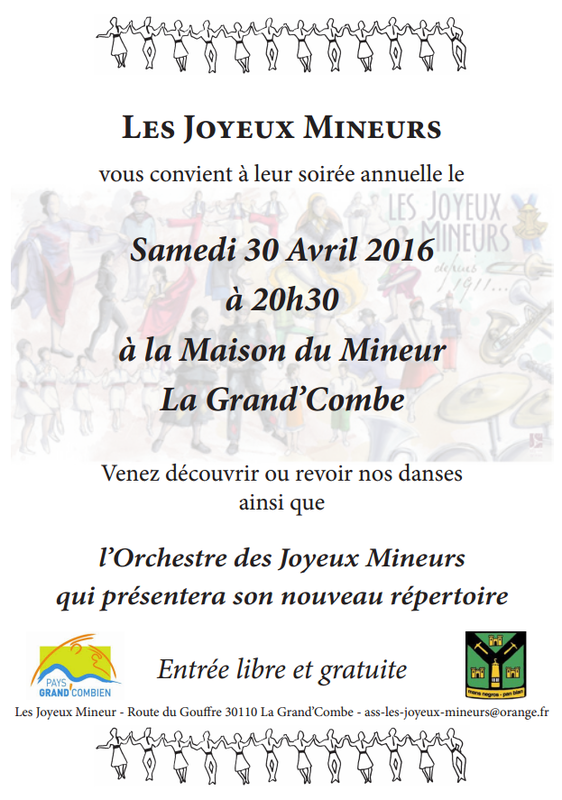 Soirée Annuelle Des Joyeux Mineurs à la maison du Mineur La Grand’Combe. 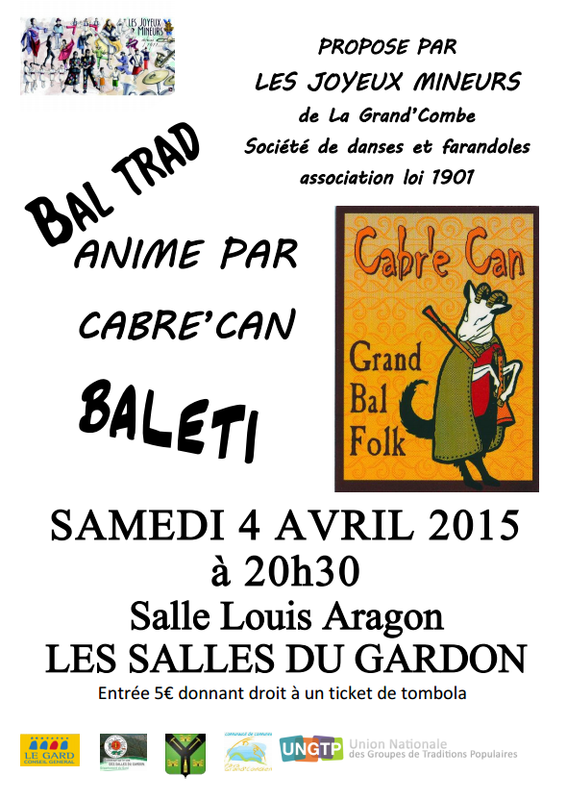 Soirée Annuelle Des Joyeux Mineurs avec Bal TRAD anime par Cabre’Can. 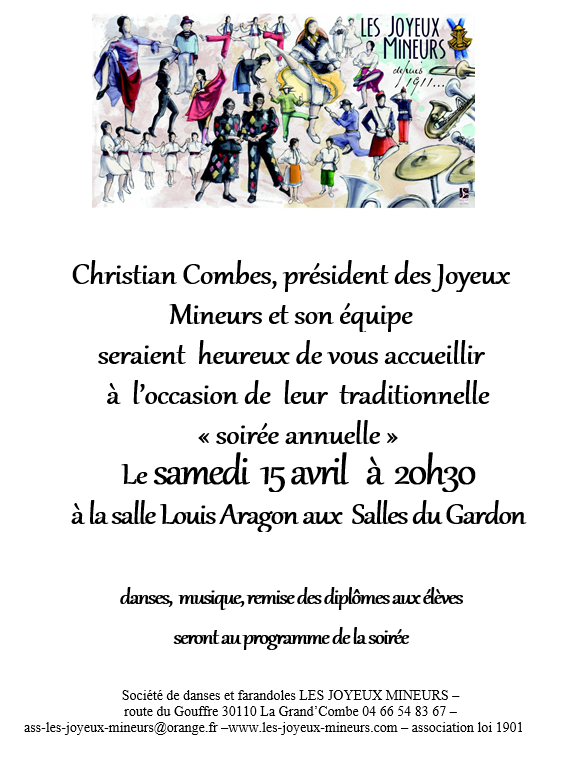 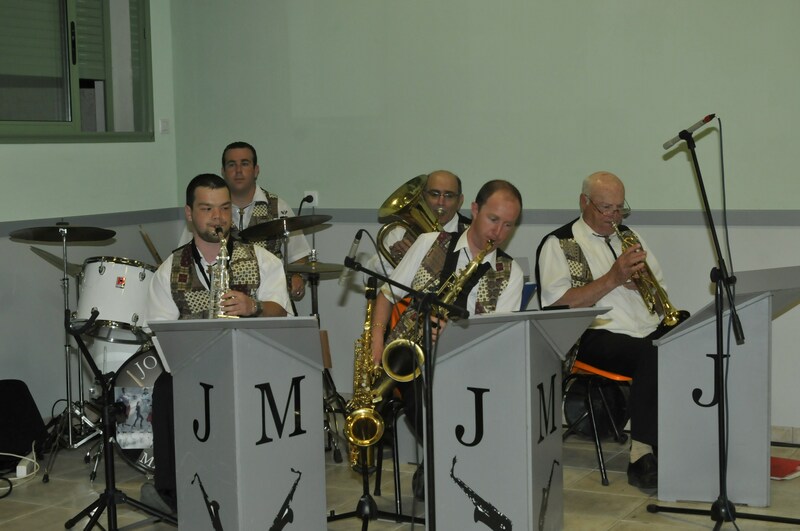 Soirée Annuelle Des Joyeux Mineurs avec le groupe des Mescladis de brignon. 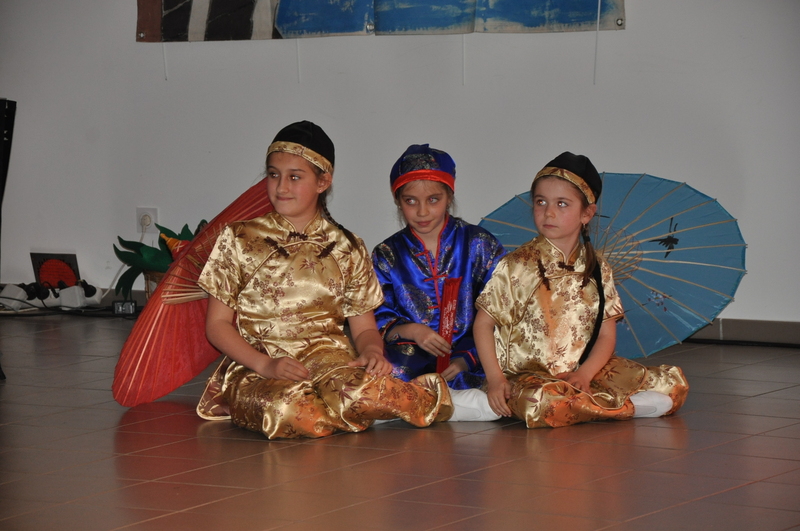 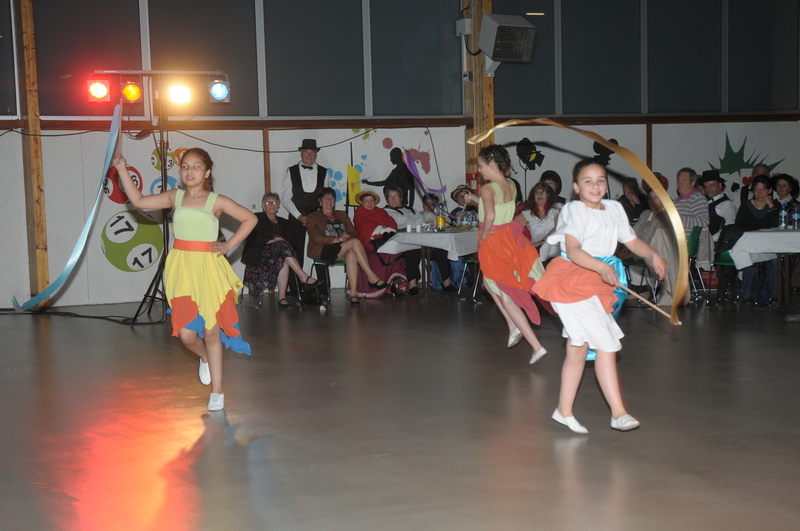 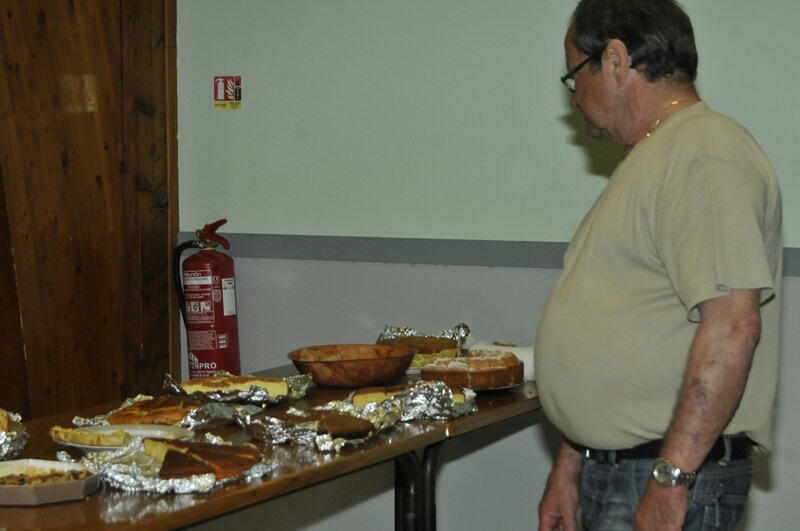 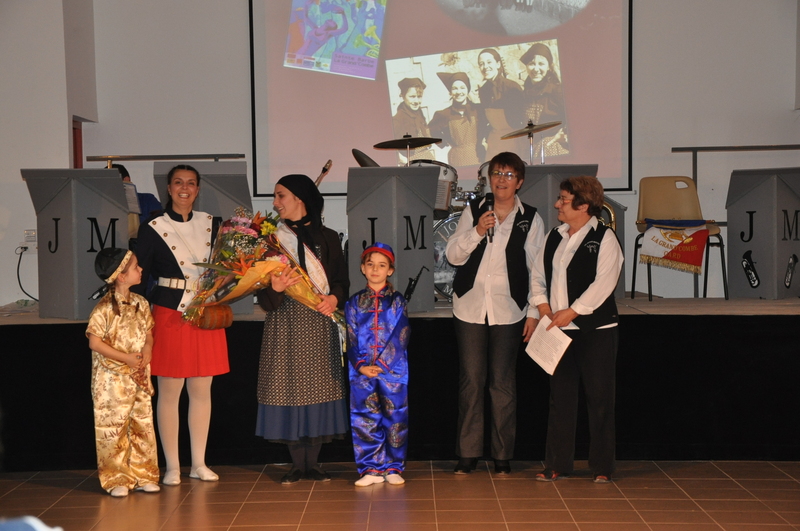 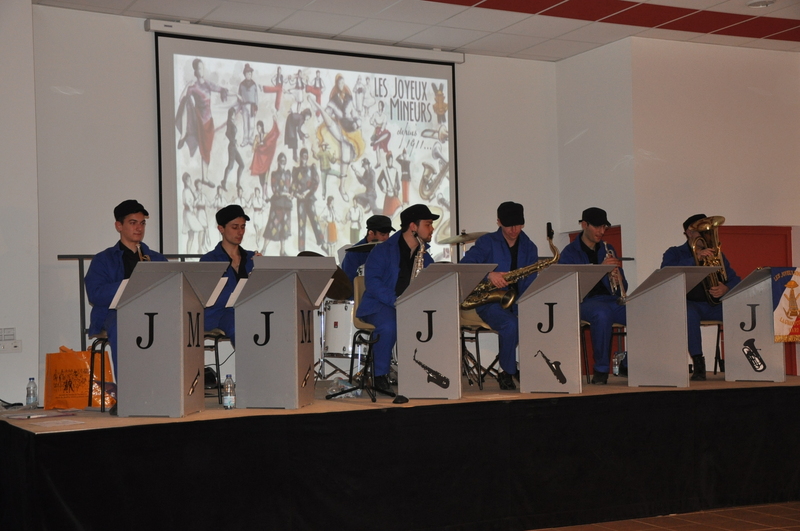 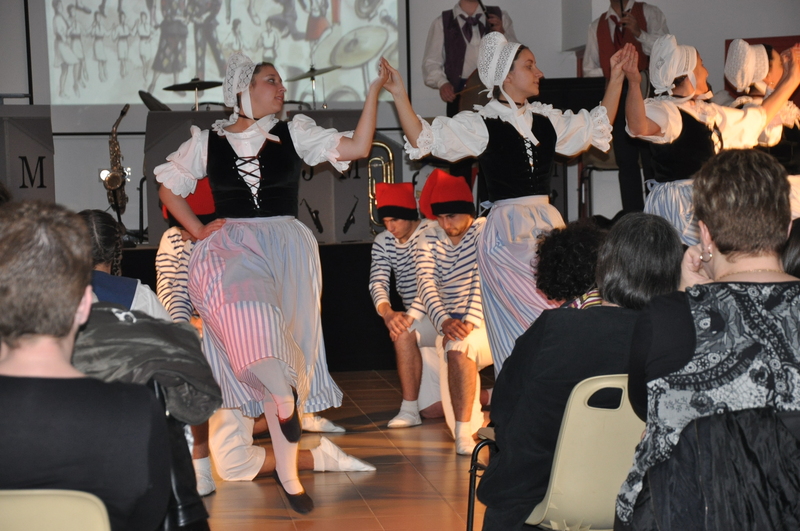 It was La Grand Combe who had the privilege of hosting the annual evening at Salle Marcel Pagnol on April 6th, 2013. 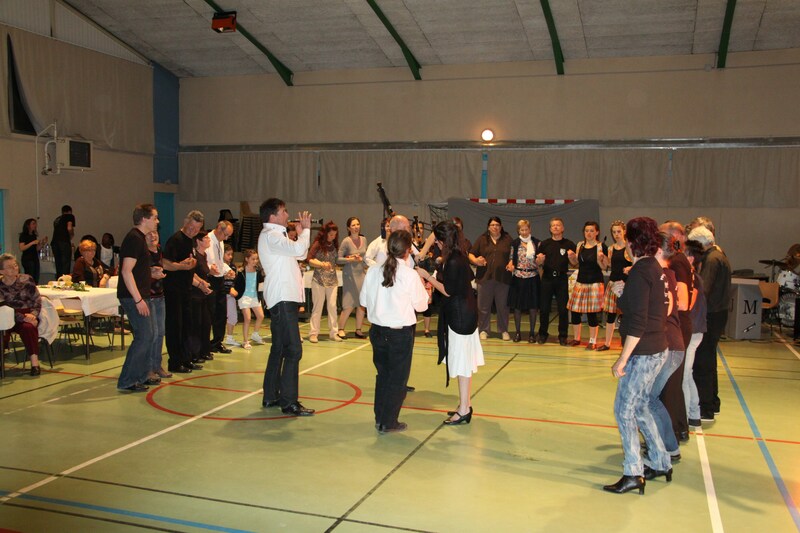 Evening rich in events The diplomas : - The younger ones proudly received their intermediate class diplomas (our dance steps are classified by difficulty) -Myrha and Margot joined the big court with their title of "provost of dance" - Chrystel and Annie, their level 1 diploma, certifying their knowledge of the group and the city The invited group: The children of Arausio, straight from Orange delighted us by their way, we could not more original, to tell the story of La Farandole. 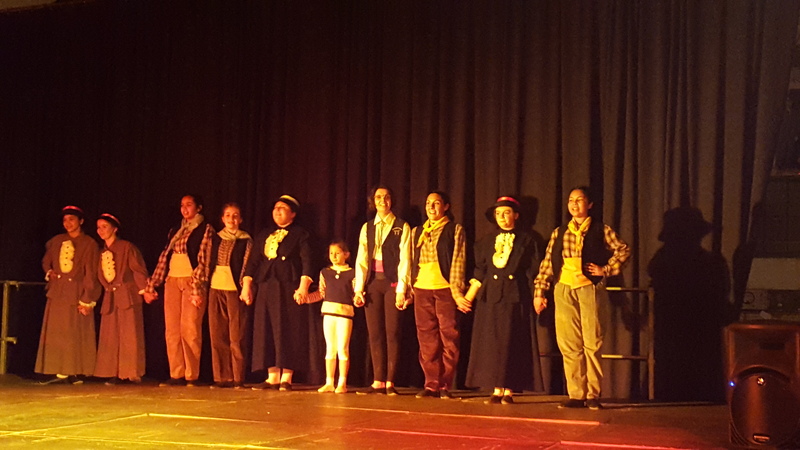 Thank you all, dancers, dancers and musicians. 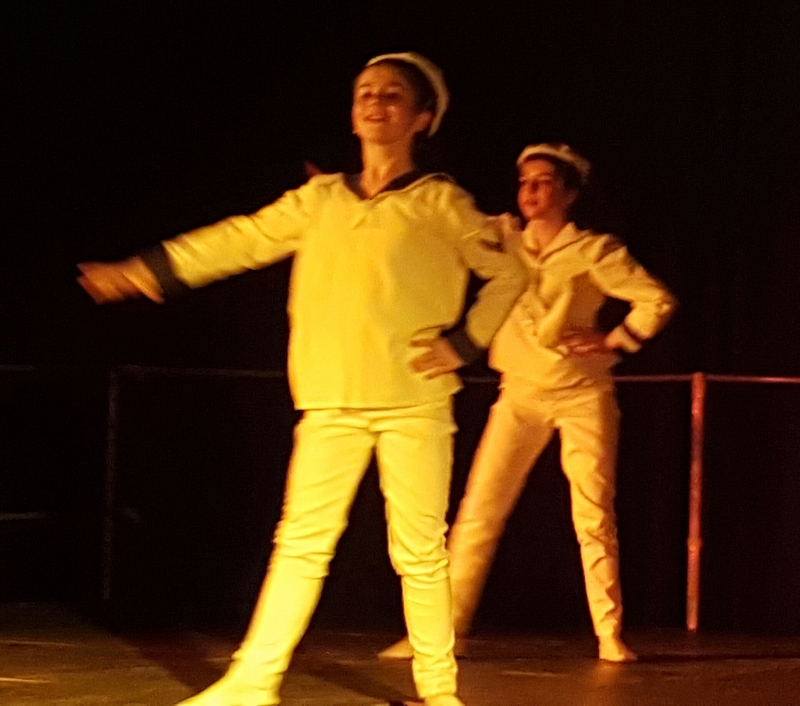 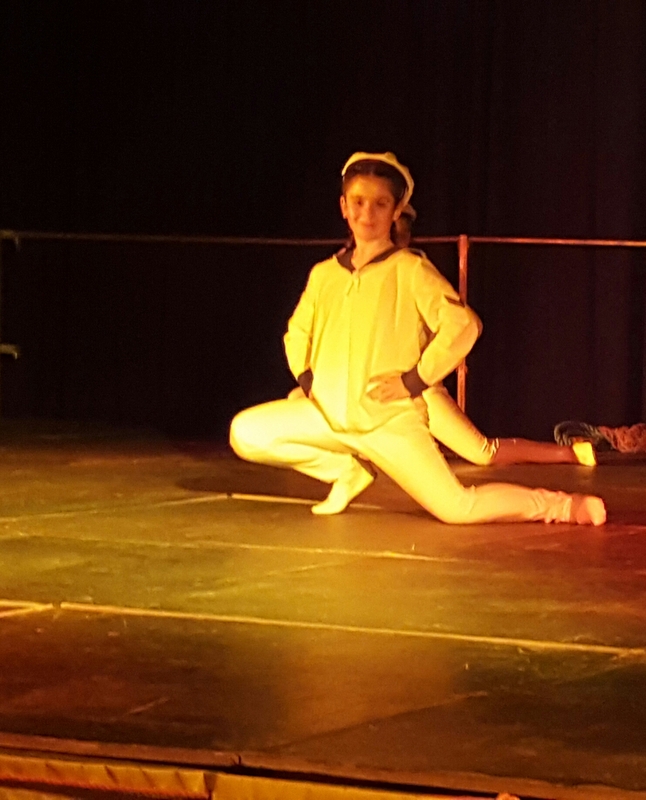 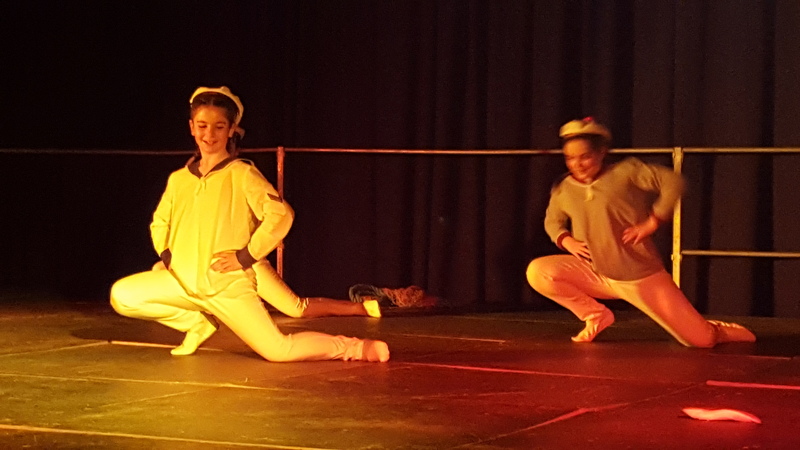 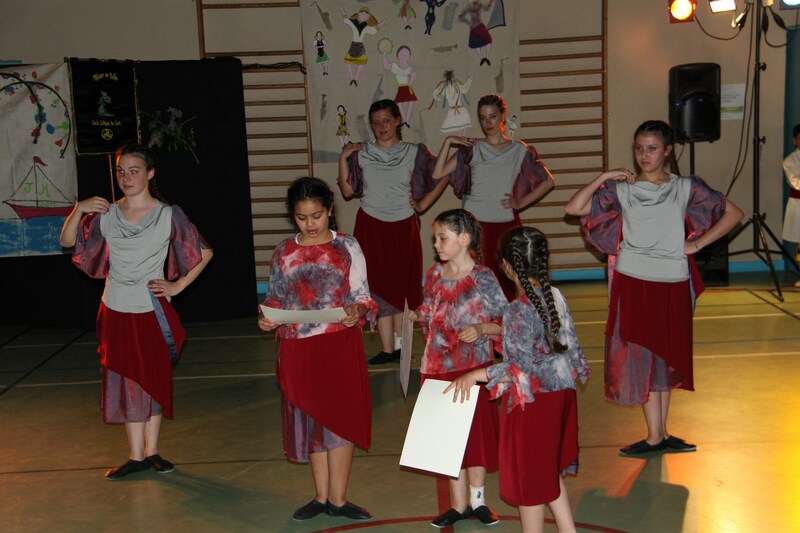 As for us, we presented 2 new 100% JM creations, from choreography to costumes. 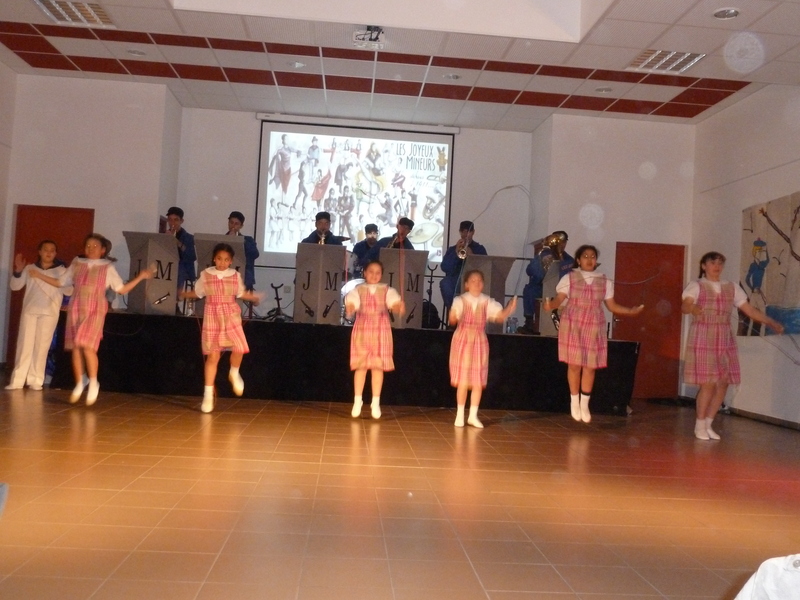 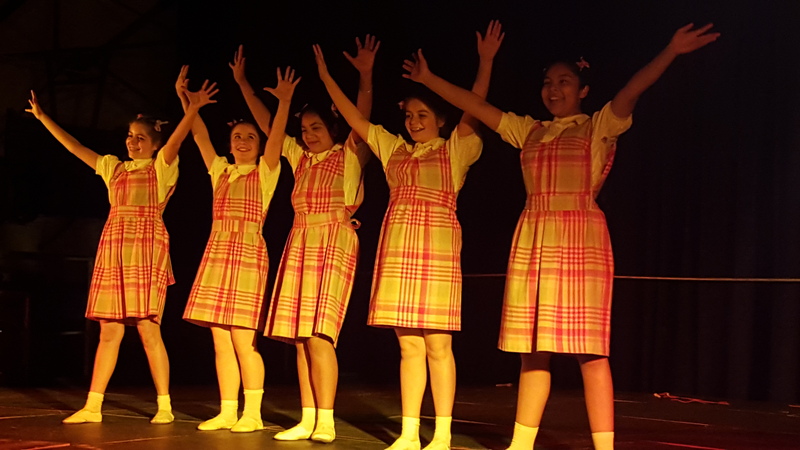 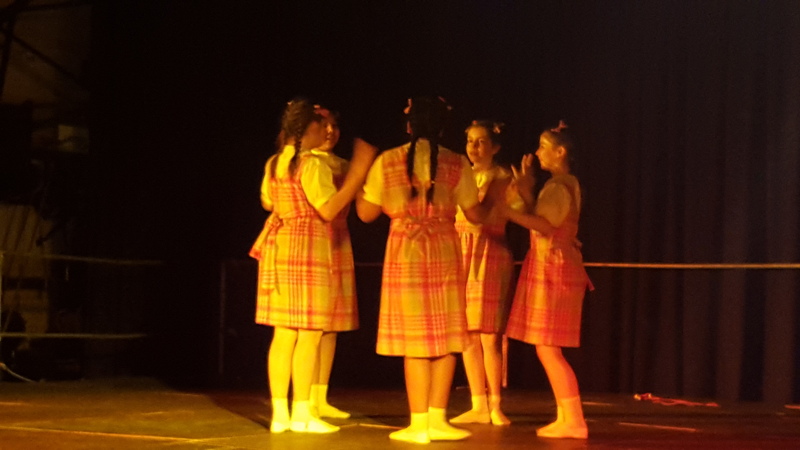 The Schoolgirls, on a music "La Fauvette", by Joseph Naro, former musician of the JM, the averages lend themselves to the games of playground. 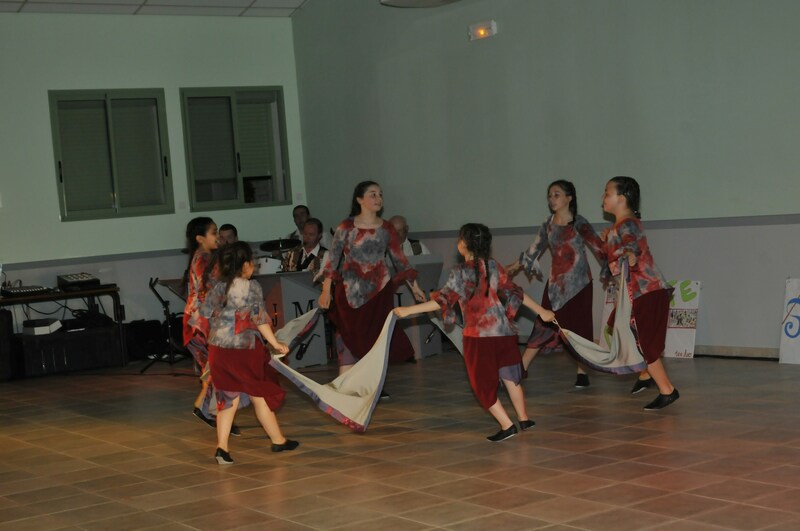 Espelida, history of silk, from the birth of the verse to the shimmering fabrics. 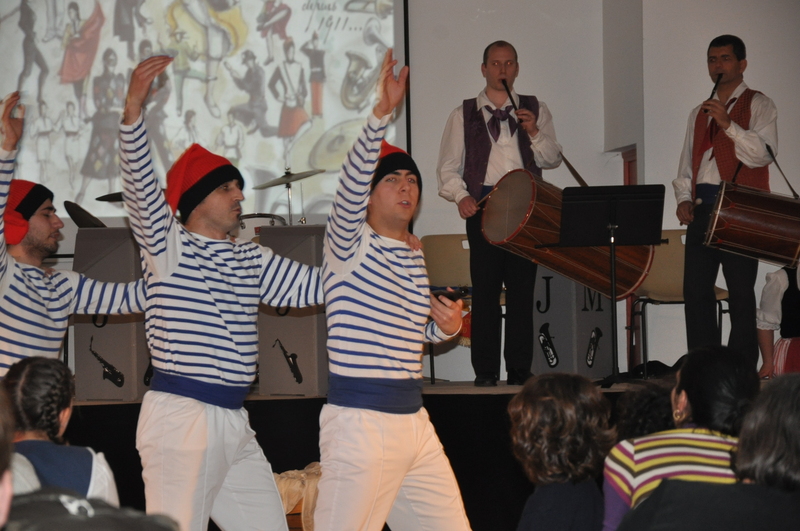 The music found on a collection of old songs, arranged by Daniel Malavergne. 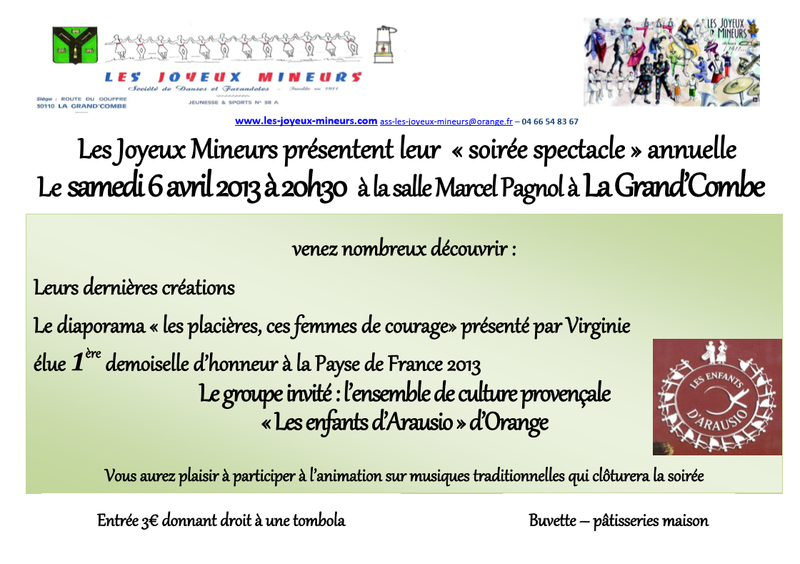 Finally, Virginie presented her slide show on "Les placières, ces femmes courage" with which she competed for La Payse de France and obtained the title of 1 ° Dauphine. 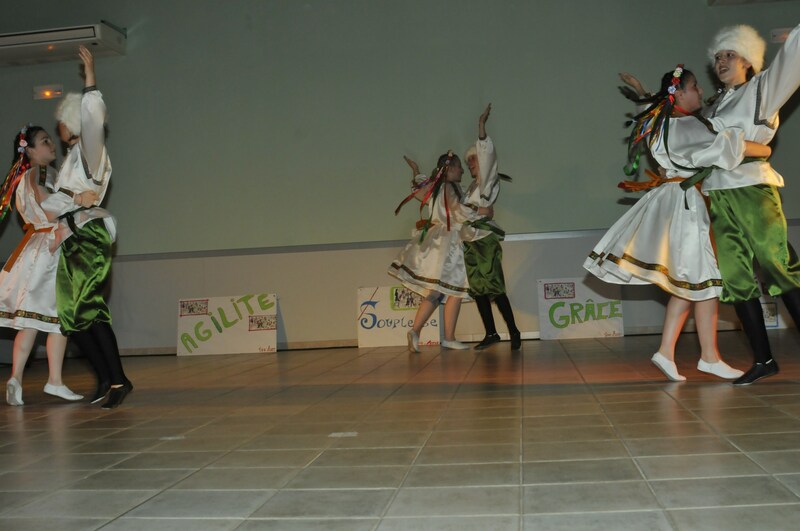 A beautiful evening as we like them. 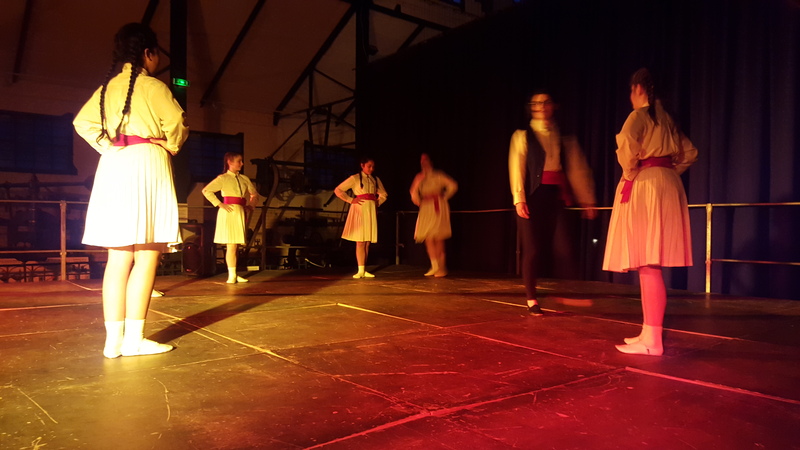 We missed time for a shared baleti. 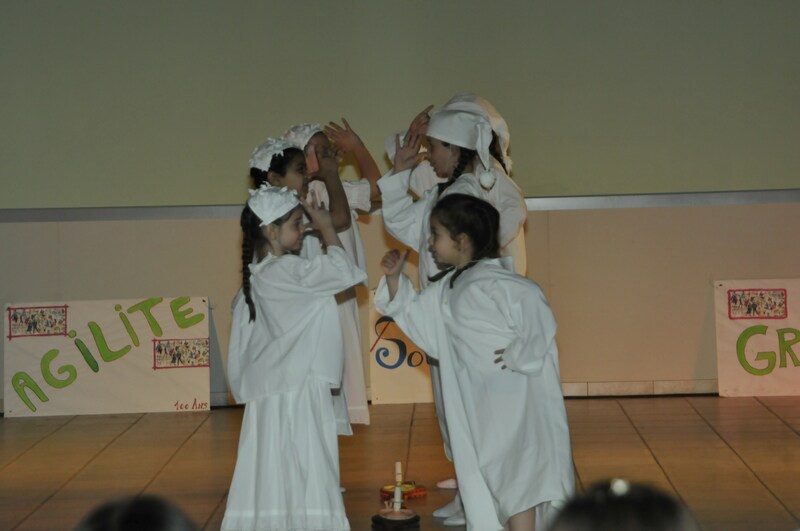 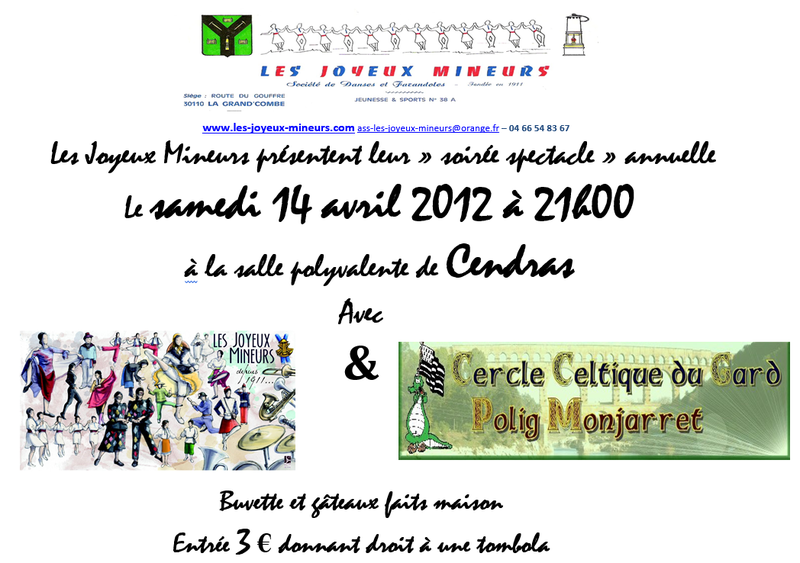 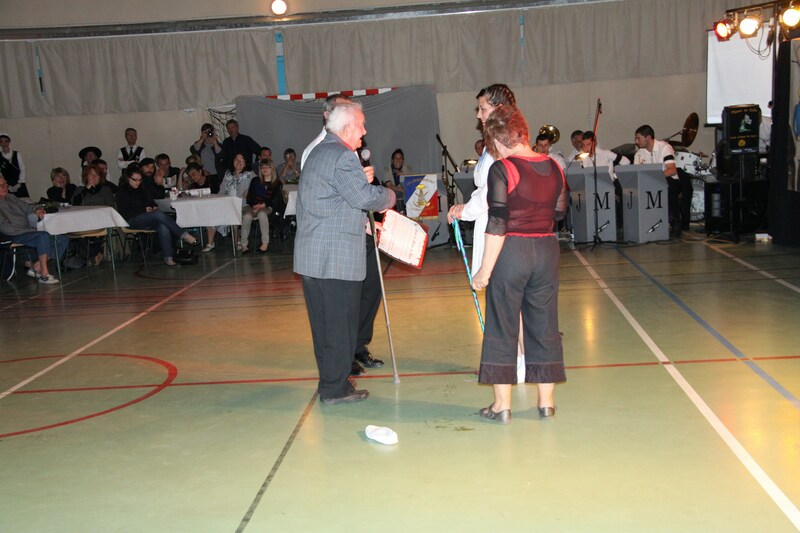 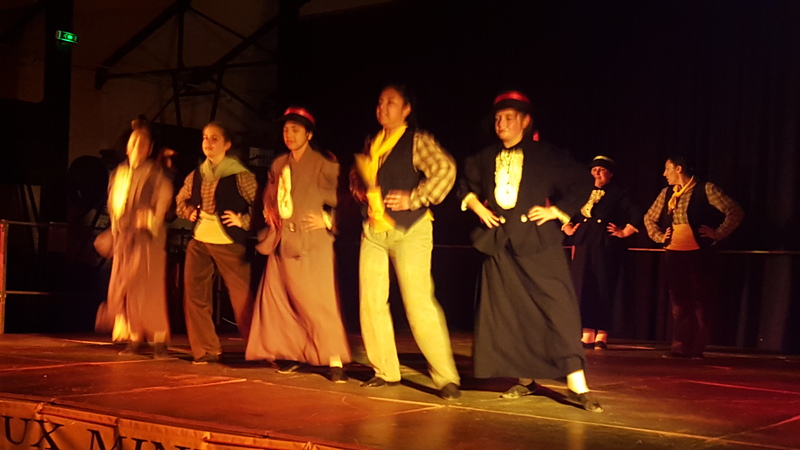 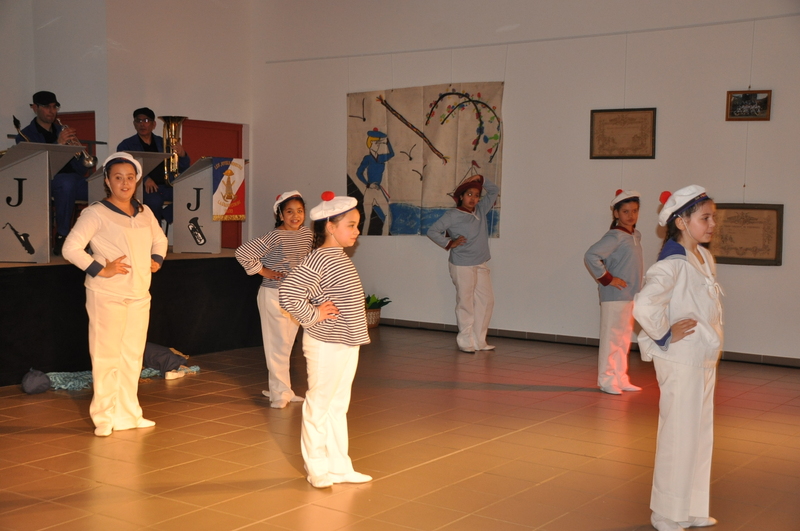 This Saturday, April 14 it was the turn of the town of Cendras to host the annual evening of the Merry Minors. 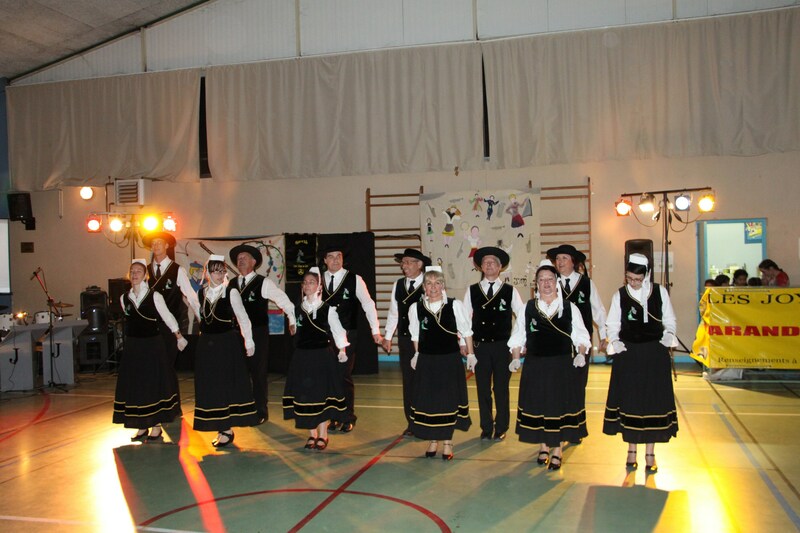 The team of the Merry Minors dedicated this evening to Raymond SAINT-JEAN, their friend and Musician too soon disappeared During the various dances performed brilliantly, the Dancers, from the most novice to the most experienced have received their diploma: - Solenne - Chana - Camelia - Alicia - Iptissem - Myrha until Manon the new Dance Master. 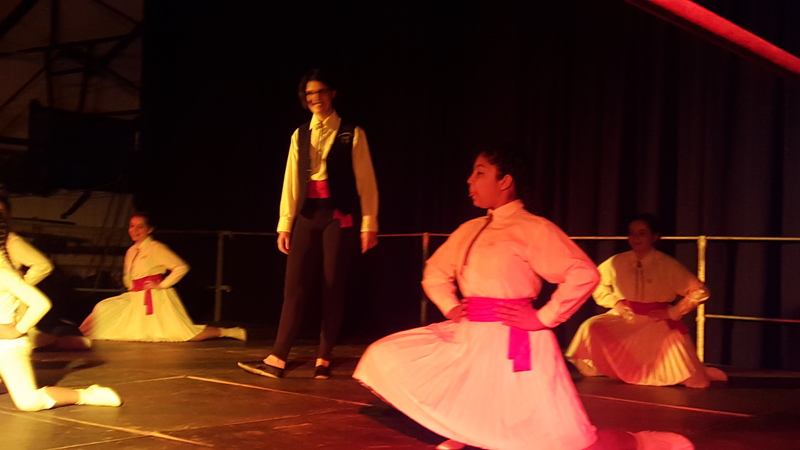 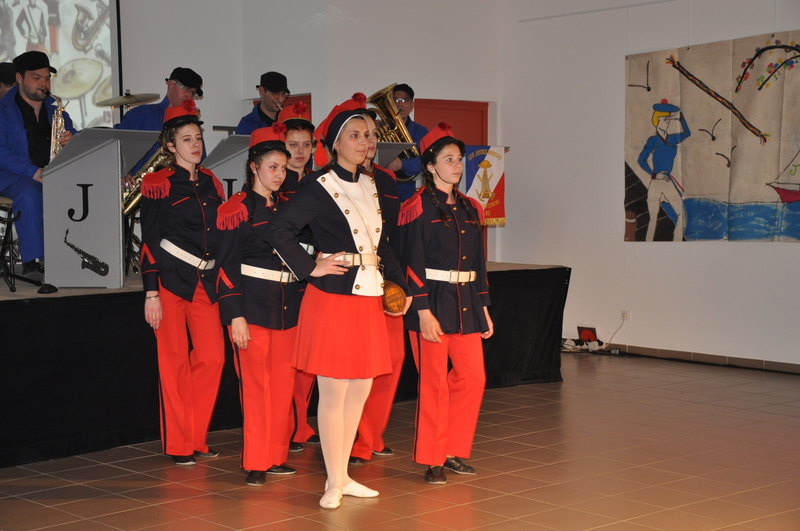 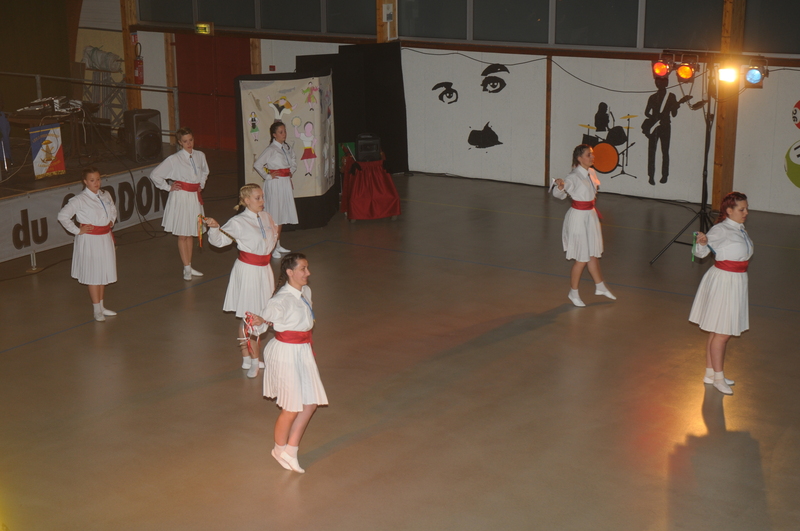 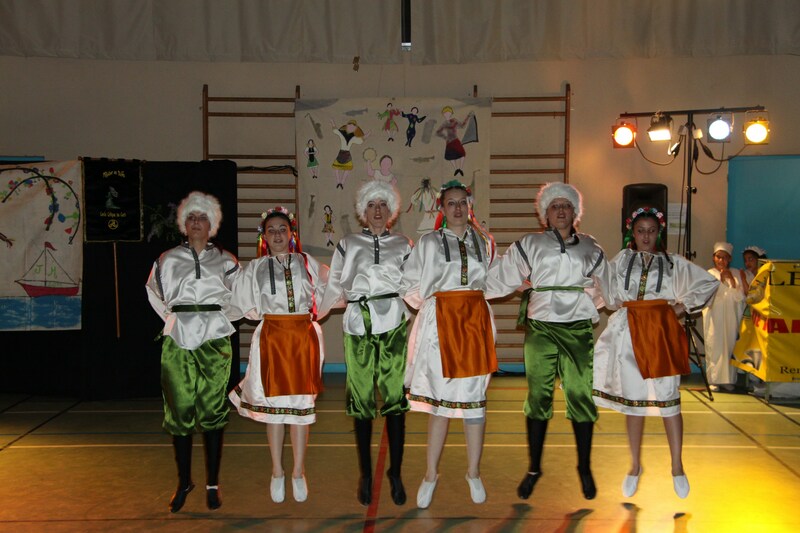 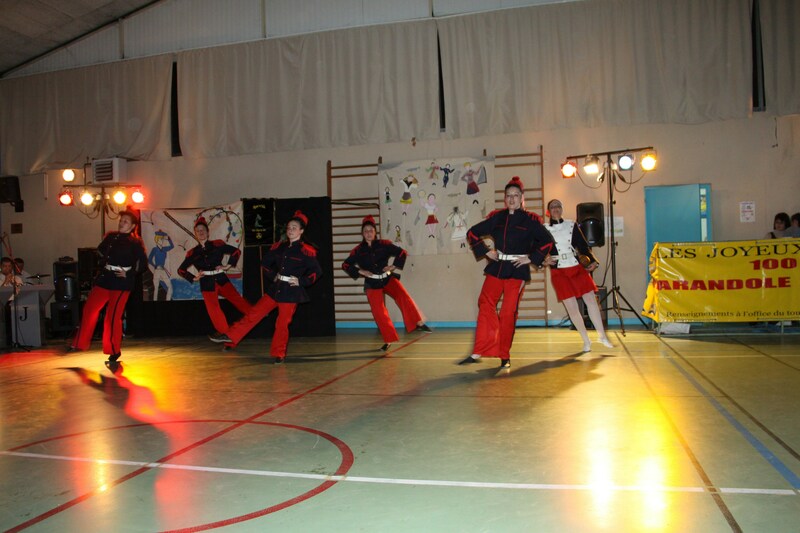 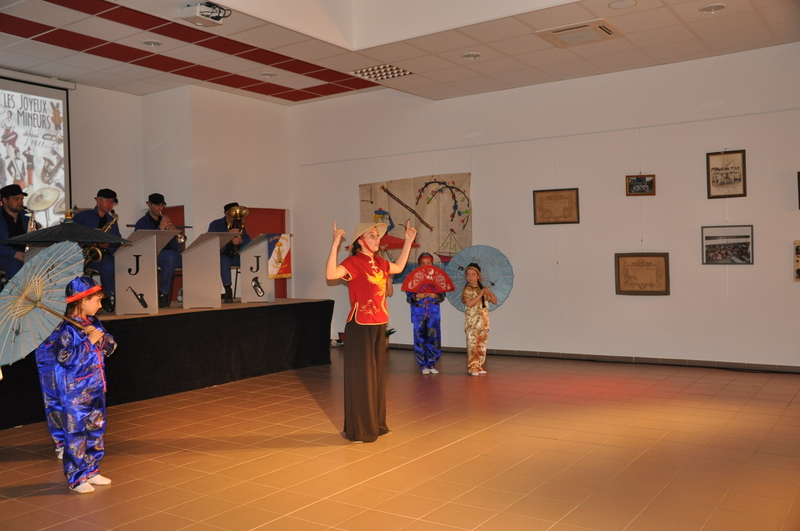 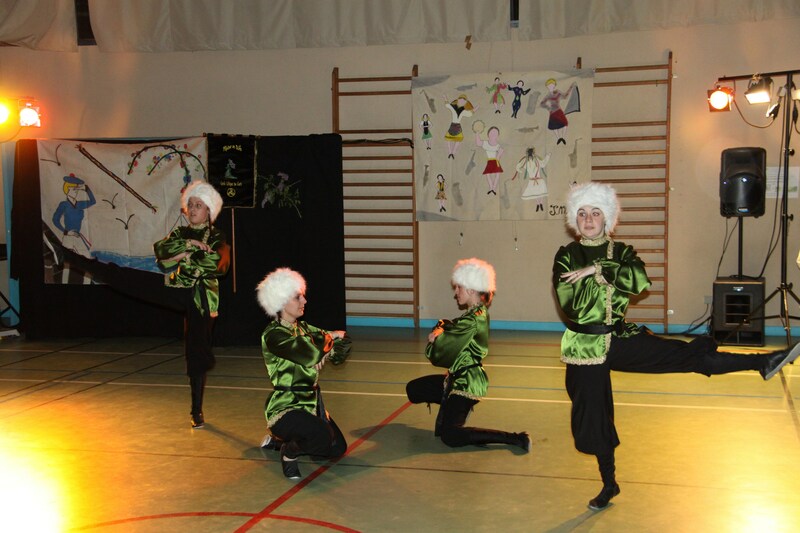 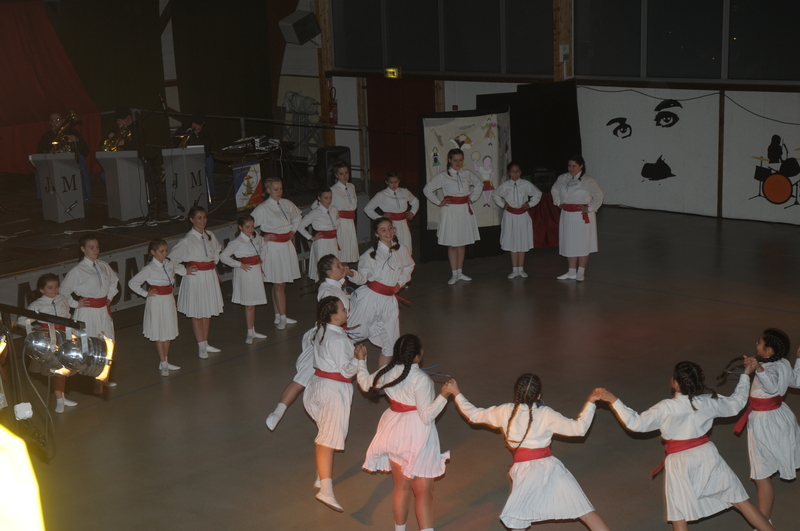 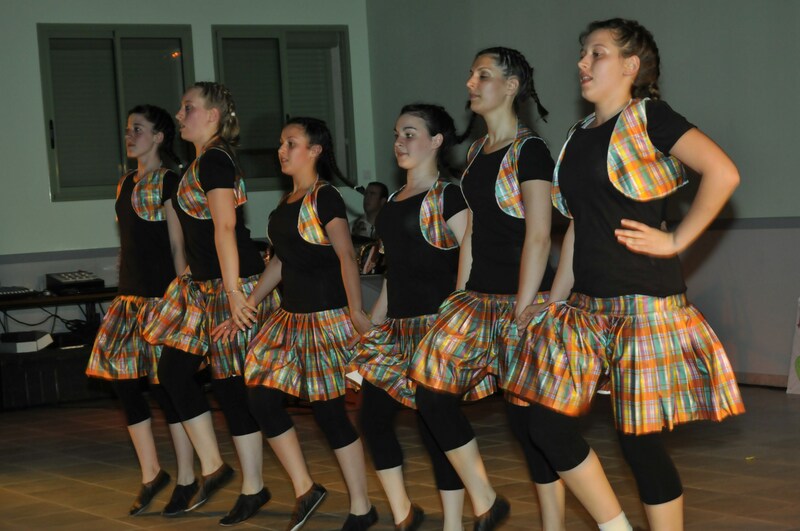 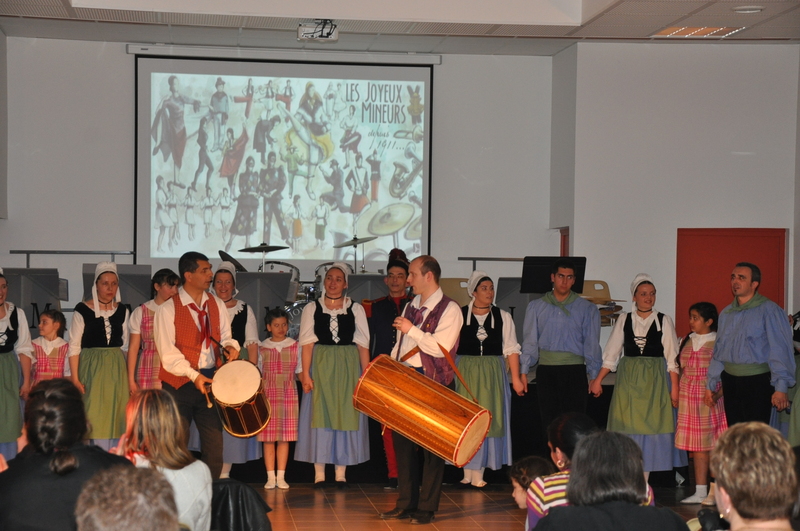 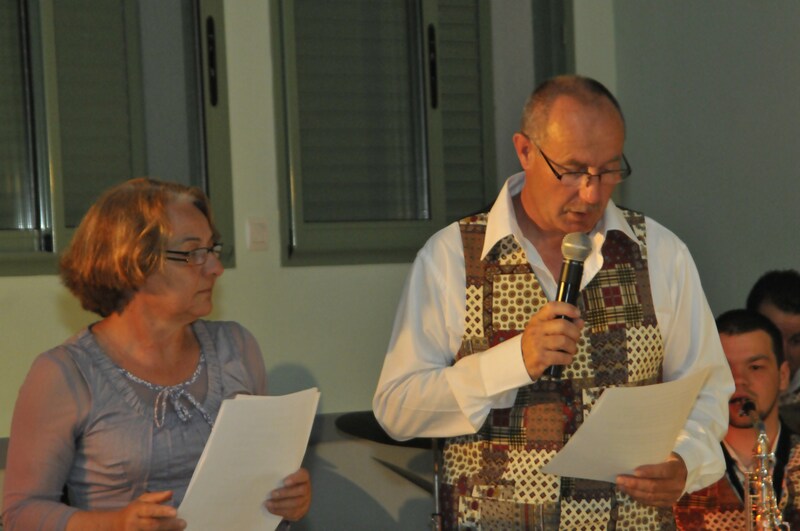 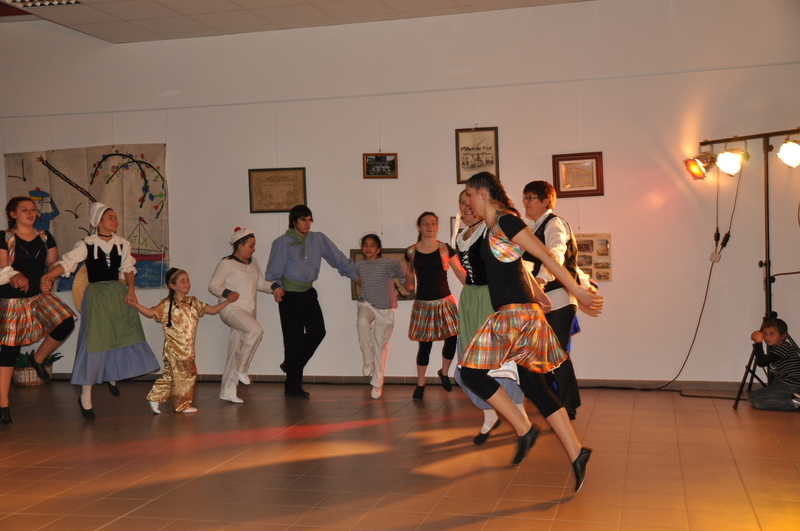 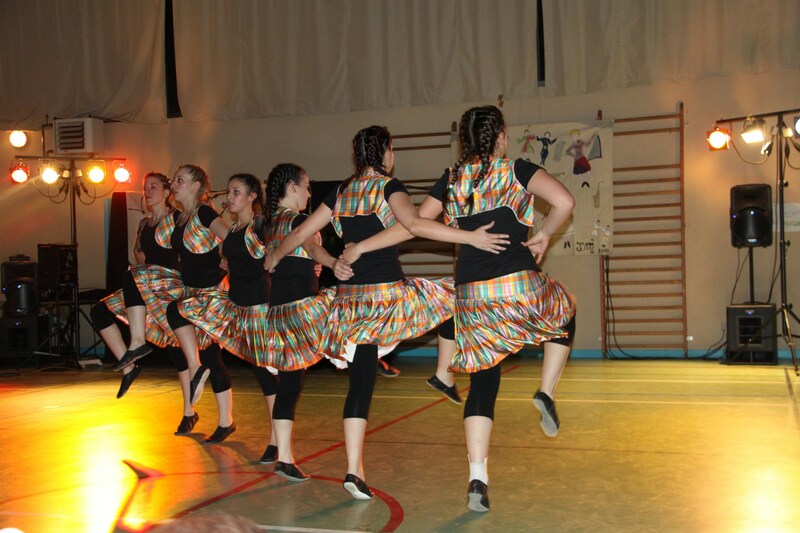 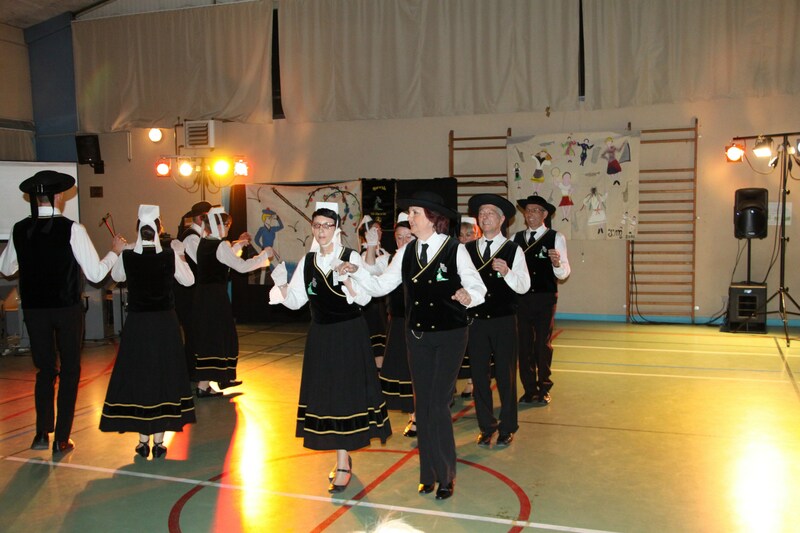 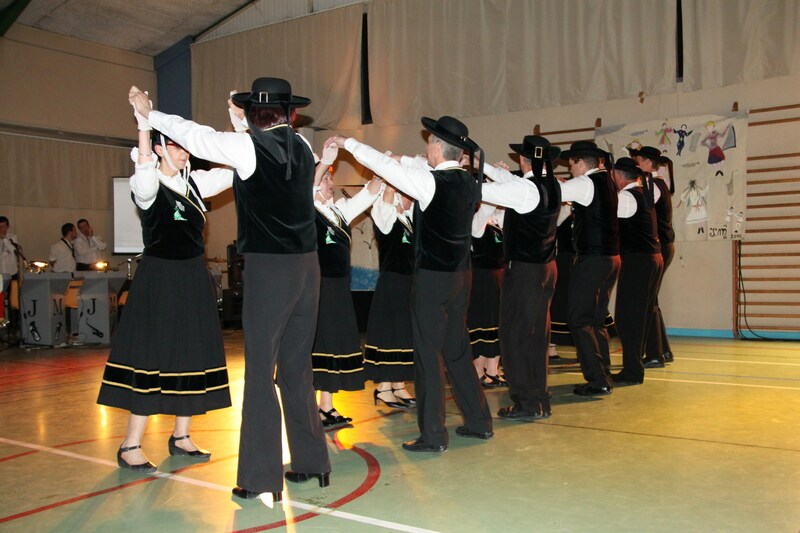 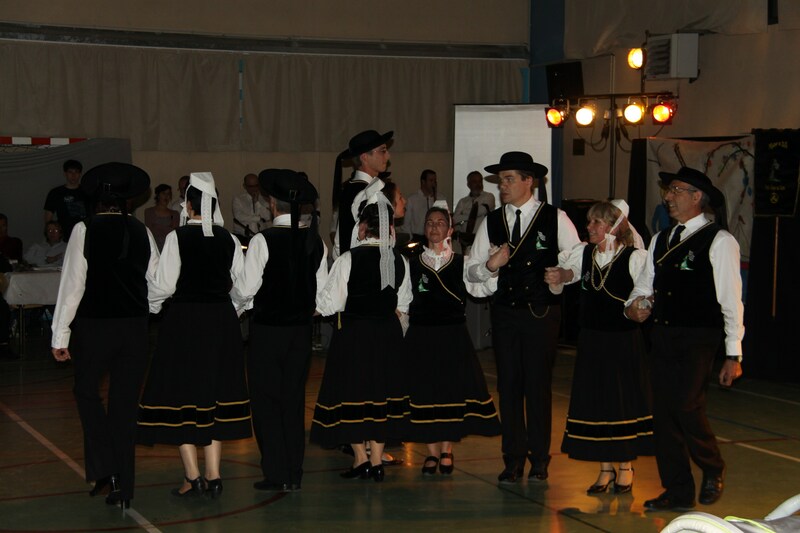 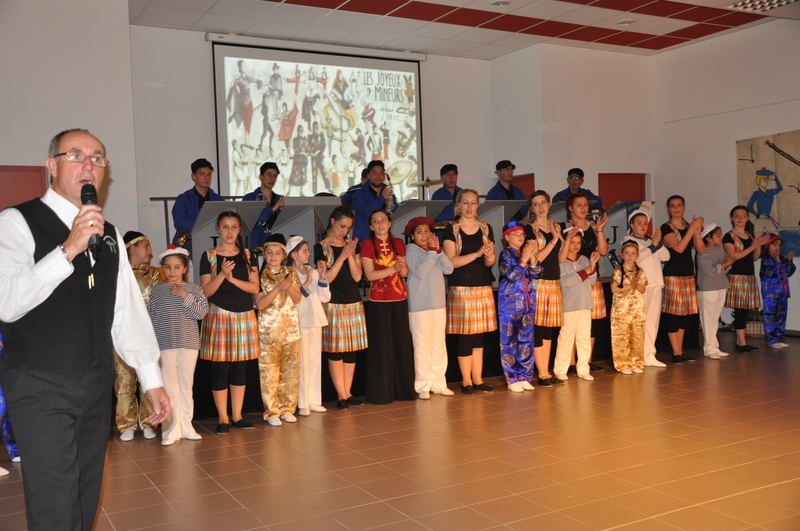 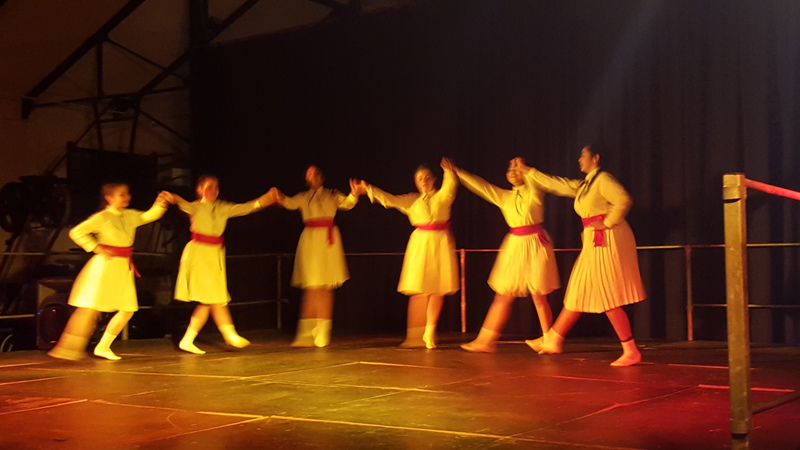 The Breton dances of the group "Plijadur year in" of the Celtic Circle of Gard Polig Monjarret delighted the audience. 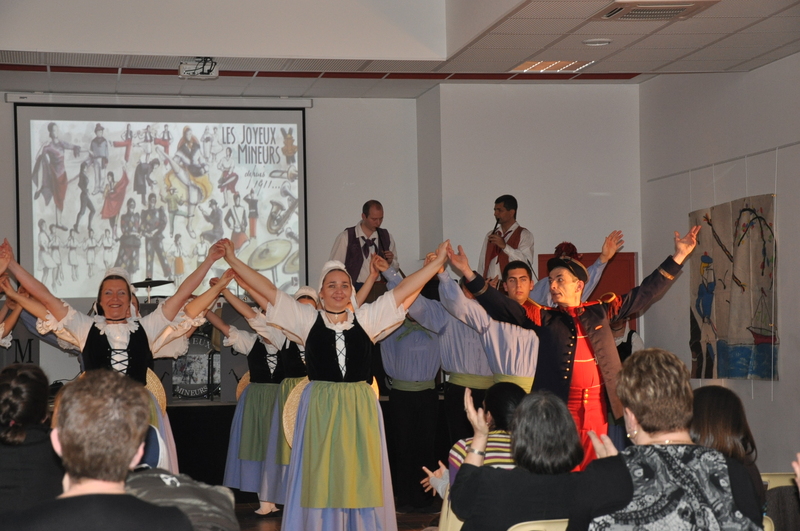 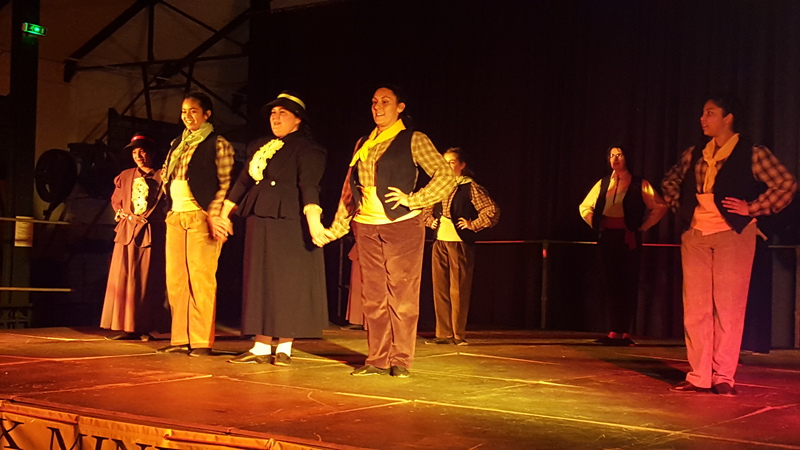 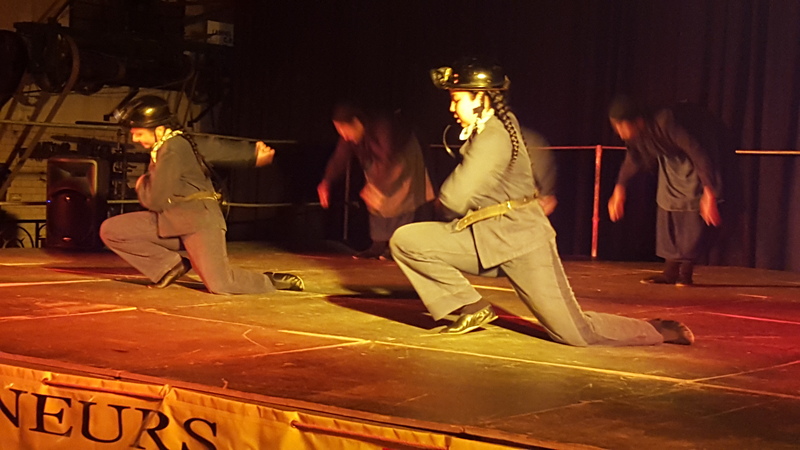 In the late evening, the public and the two groups found themselves involved for an animation and an initiation to Breton dances. 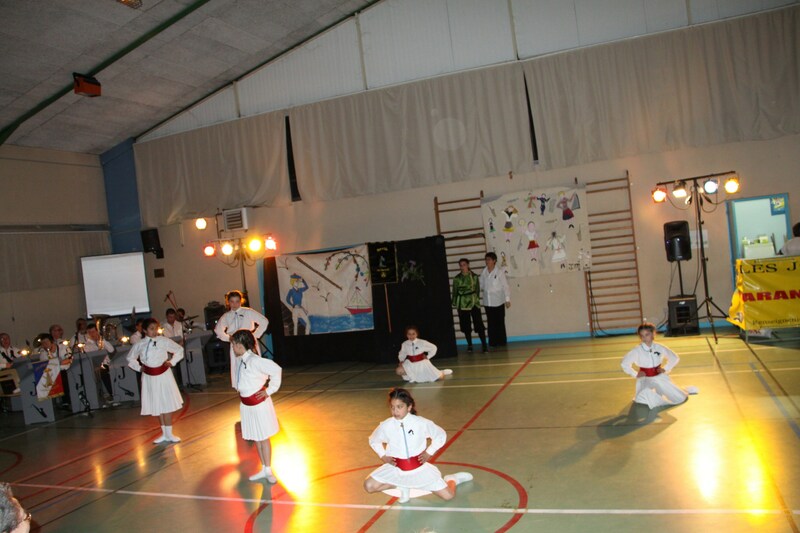 A beautiful evening! 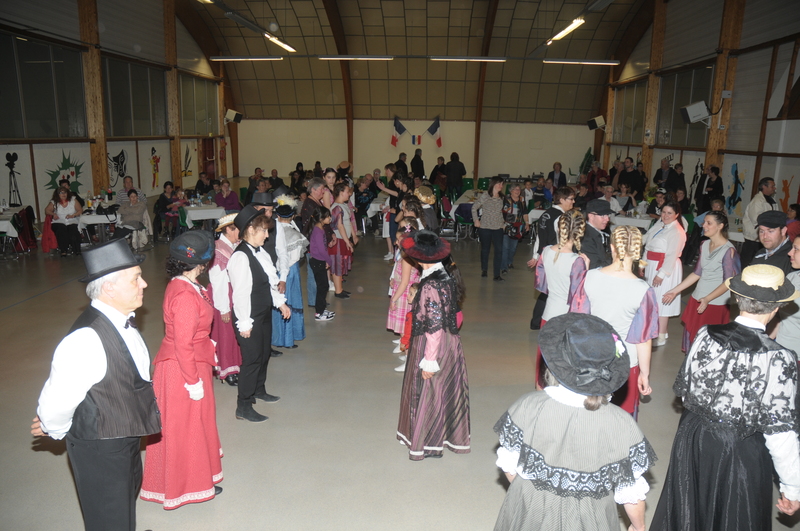 Après l’année du centenaire dignement fêtée par de multiples manifestations étalées les 12 derniers mois et selon la tradition, les Joyeux Mineurs délocalisent leur soirée annuelle. 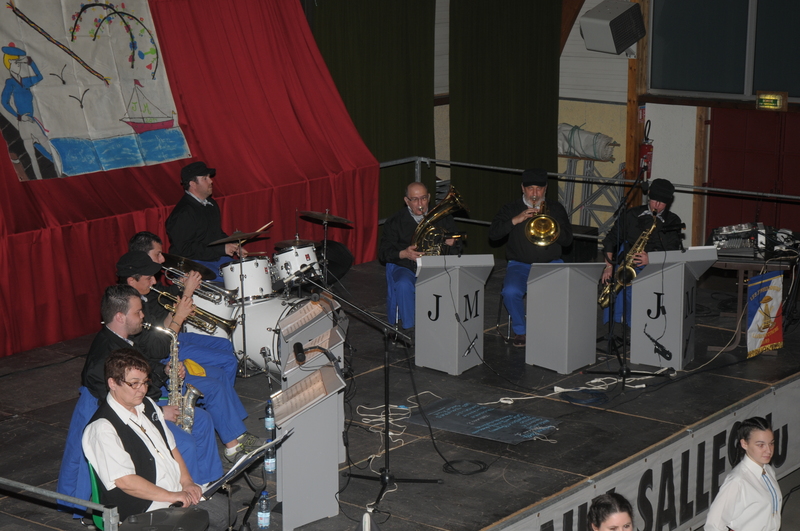 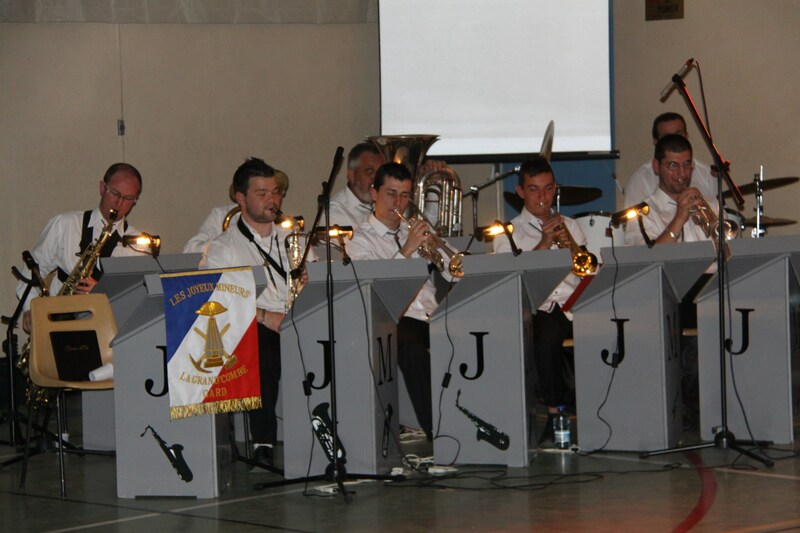 Ce samedi 9 avril 2011, c’est La salle polyvalente de Branoux les Taillades qui accueille le groupe. 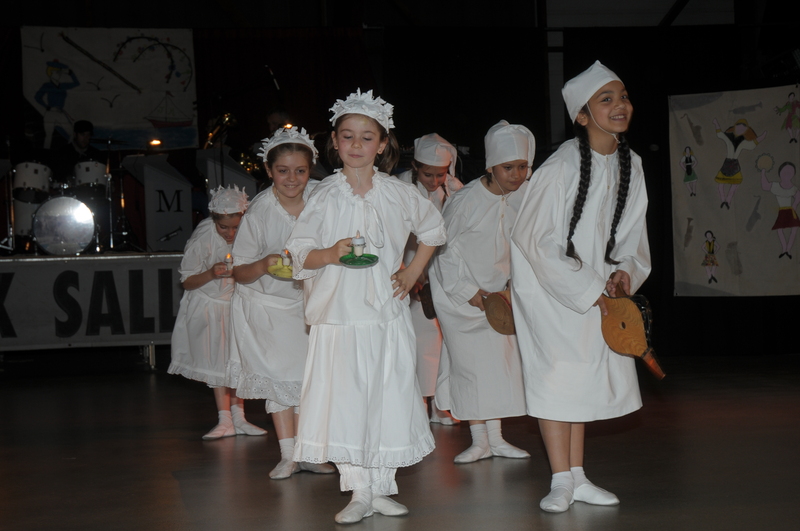 After the year of the centenary well-celebrated by multiple events spread over the last 12 months and according to tradition, the Merry Minors relocate their annual evening. 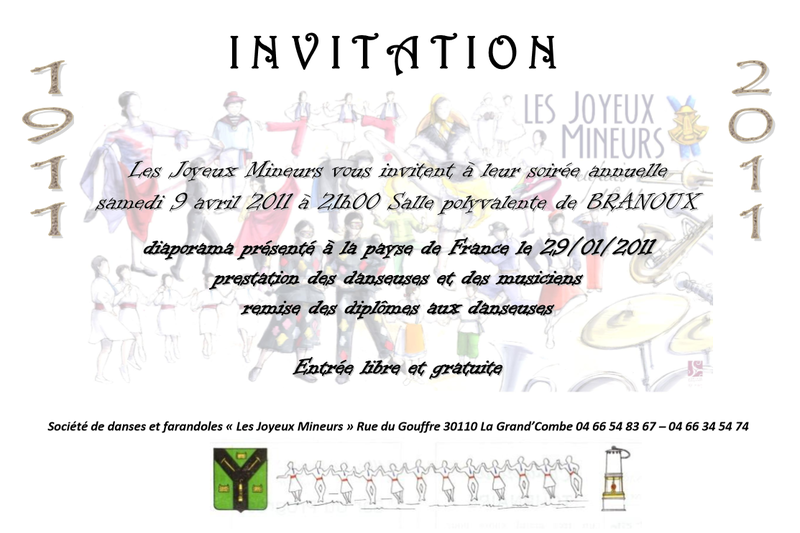 This Saturday, April 9, 2011 is the multipurpose room Branoux Taillades that welcomes the group. 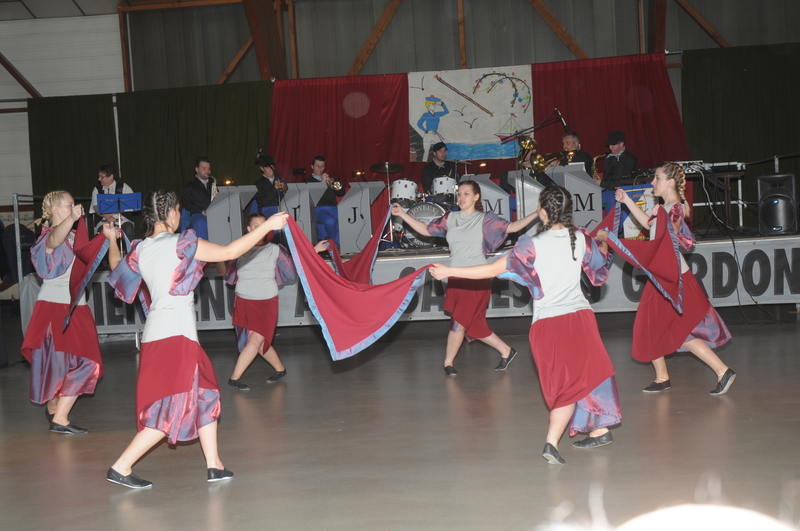 The new team in place is well on track to perpetuate the future of the Merry Minors. 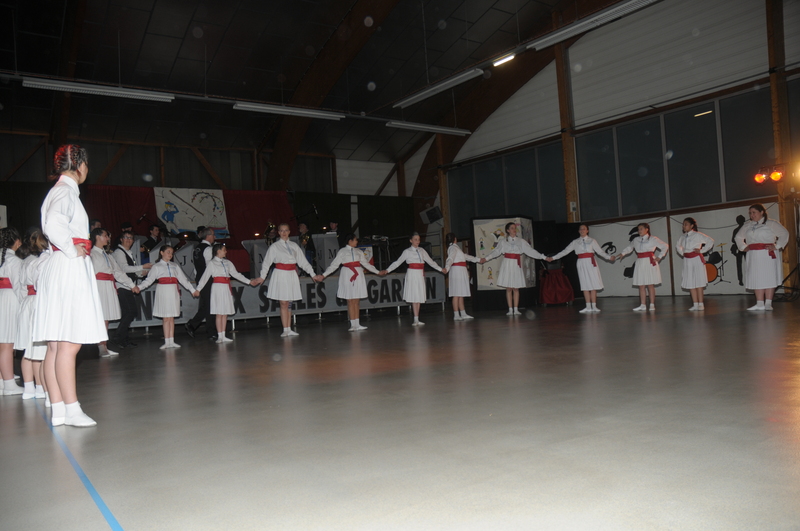 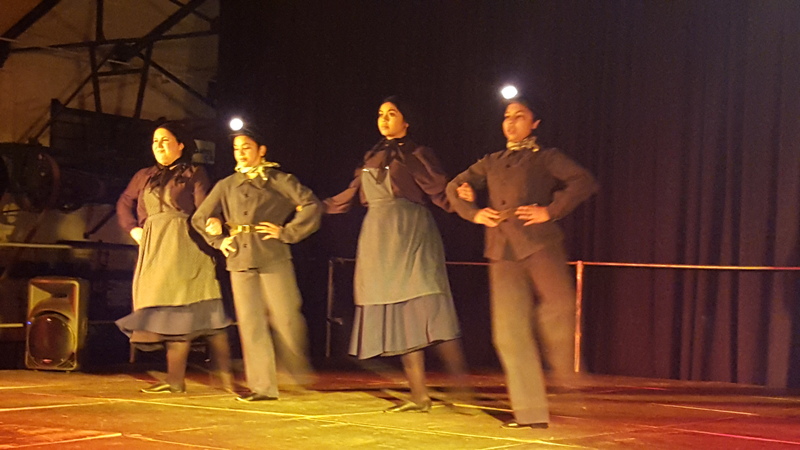 After a short video on the election of Payse de France presented by Charline, the graduation ceremony for young dancers, the show spread out for 2 hours at the rhythm of the farandole, in beautiful costumes made "home", accompanied by the always faithful orchestra, delighted the honored chamber who came to attend this beautiful evening! 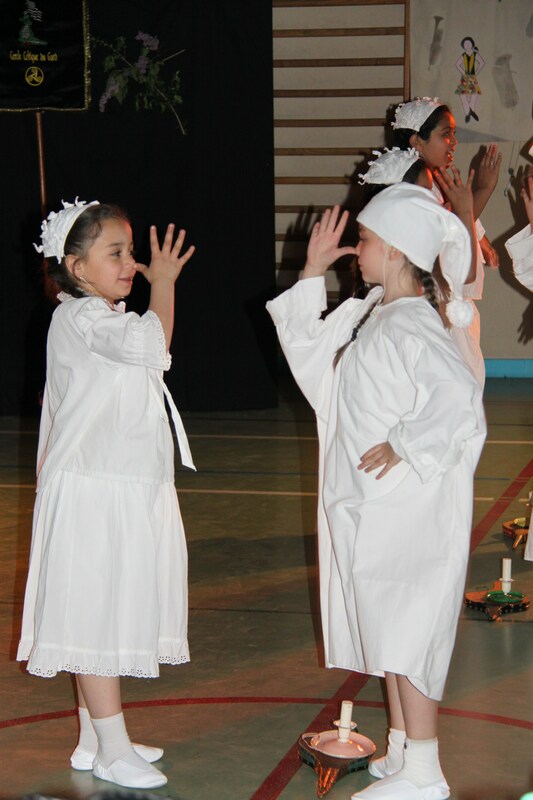 tout au long de l’année scolaire. 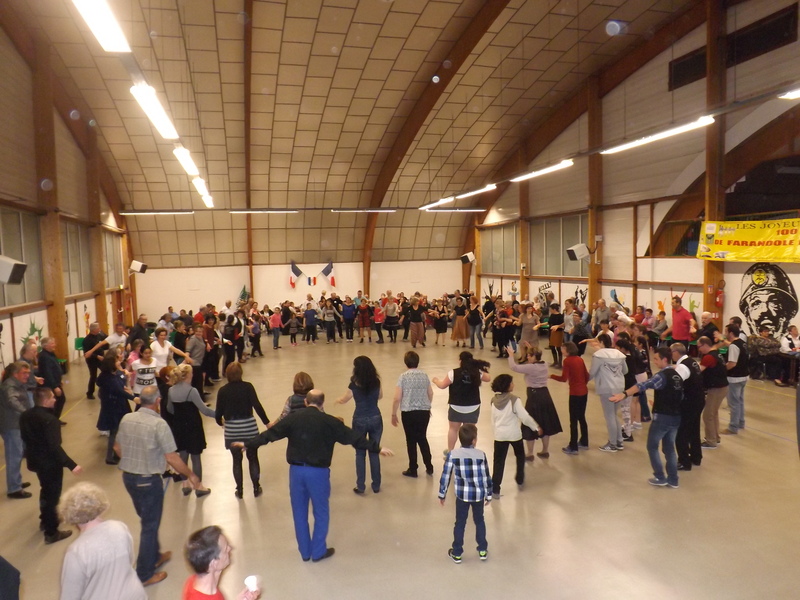 à notre siège (hors saison loto). 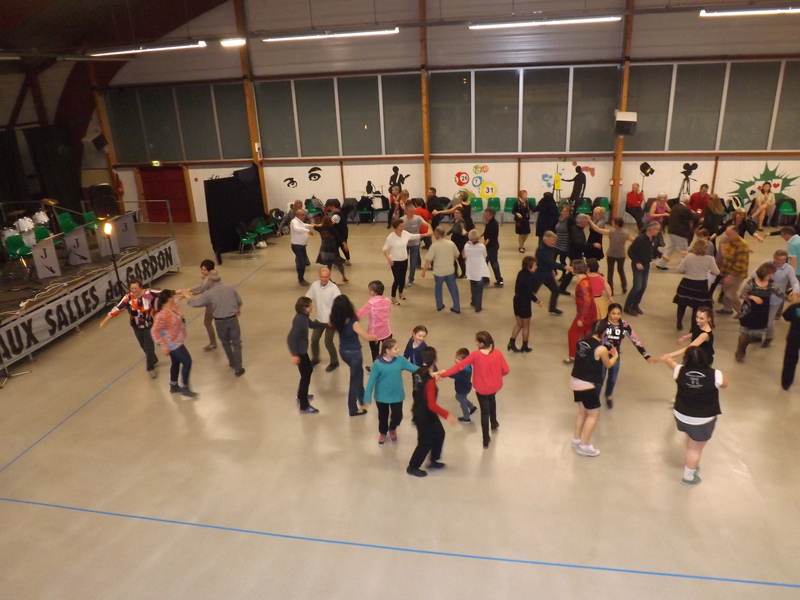 Dimanche 17h00 du 4 Décembre 2018 au 26 Mars 2019. 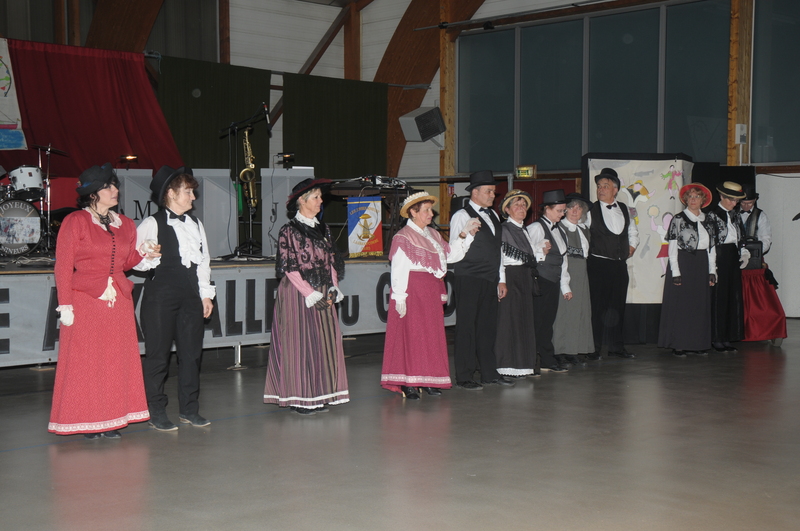 Copyright © Les Joyeux Mineurs 2019, tous droits réservés.